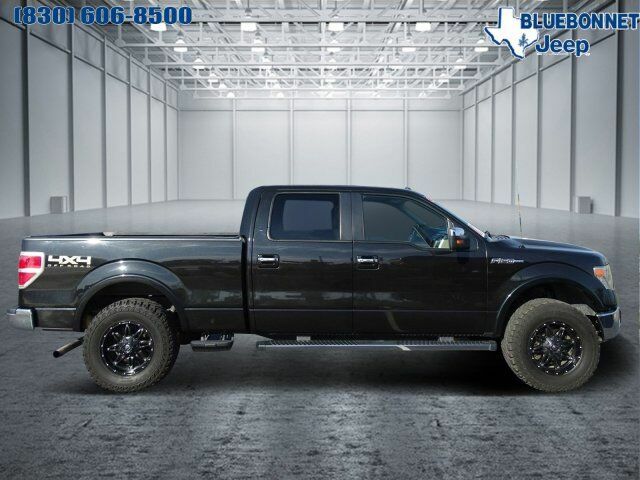 Nav System, Moonroof, Heated Leather Seats, 4x4, Dual Zone A/C, Onboard Communications System, iPod/MP3 Input, Aluminum Wheels, OFF-ROAD PKG, LUXURY EQUIPMENT GROUP, LARIAT CHROME PKG, Hitch, 5.0L V8 FFV ENGINE READ MORE! 4x4, iPod/MP3 Input, Onboard Communications System, Trailer Hitch, Aluminum Wheels, Dual Zone A/C, Fourth Passenger Door. MP3 Player, Third Passenger Door, Keyless Entry, Privacy Glass, Steering Wheel Controls. LUXURY EQUIPMENT GROUP rearview camera, reverse sensing system, remote start, pwr-folding heated exterior mirrors w/integrated turn signals & body-color skull caps, driver side auto-dimming exterior mirror, mirror memory, universal garage door opener, short visors w/covered illuminated mirrors, trailer brake controller, HID headlamps, pwr moonroof, Sony AM/FM stereo w/CD player, HD Radio, voice-activated navigation system w/in-dash screen & SD card for map/POI storage, integrated SiriusXM Travel Link, heated/cooled 10-way pwr leather-trimmed front bucket seats w/driver seat memory, flow-through console, floor shifter, 110-volt inverter, manual tilt/telescoping steering wheel, LARIAT CHROME PKG 18" chrome-clad aluminum wheels, chrome mesh grille insert, 6" chrome angular step bars, chrome exhaust tip, pwr-folding heated exterior mirrors w/integrated turn signals, mirror memory & chrome skull caps, body-color door handles w/chrome strap, chrome front tow hooks, OFF-ROAD PKG 3.55 electronic-locking rear axle, fuel tank/transfer case/front differential skid plates, off-road tuned front/rear shocks, 4x4 "Off-Road" decal, hill descent control, 5.0L V8 FFV ENGINE (STD). Ford Lariat with Tuxedo Black Metallic exterior and Pale Adobe interior features a 8 Cylinder Engine with 360 HP at 5500 RPM*.